Community Merit Partnership (CMP) programmes are centred around the idea that marginalised communities need access to higher education, which is consistent with Cornerstone Institute’s vision of creating a space for higher education for all. A CMP agreement is really a partnership between Cornerstone Institute and community-based organisations working in the field, that focuses specifically on development objectives set by the Department of Social Development. 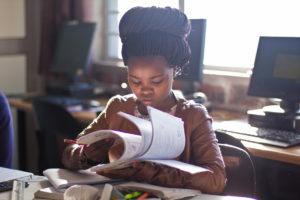 These organisations include Usiko, Laphumilanga Youth Development Organisation, The Sozo Foundation, Hope Africa Collective and Ubuntu for All, who work with youth and who is able, then, to take their programmes further by referring youth to Cornerstone Institute for higher education. The Community Merit Partnership programmes works as a partnership in that it allows both the community-based organisation and the higher education institute, in this case Cornerstone, to do a responsive assessment of the student’s needs and areas of support. The real magic of the partnership, however, lies in the funding arrangement, in that both Cornerstone Institute and the community-based partner can jointly raise funds on behalf of the student. This provides a whole new opportunity for fund-raising for students who require fee support. For more information, or if you or your organisation would like to contribute in any way to the Cornerstone CMP initiative, please contact Rudy Oosterwyk on rudyo@cornerstone.ac.za. UBUNTU 4 ALL works with children and teenagers in marginalised communities, with the help of teachers, social workers, speech therapists and occupational therapists. 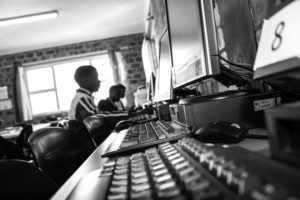 UBUNTU provides school social work at Silikamva High School in Imizamo Yethu, Houtbay, every day through individual contact with students, and working together with the parents. In this they collaborate with relevant authorities and services such as the Department of Social Development, the Department of Education, SAPS, Metro Police, prisons, clinics, churches and more. 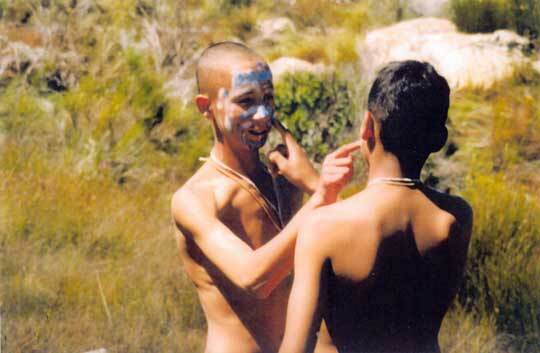 UBUNTU offers intervention programmes through group work on confidentiality, aggression, gang issues and peer pressure. With the assistance of remedial expert Chloe de la Harpe and students of the remedial university of Dortmund in Germany, remedial projects support the teachers in class, and the learners individually for academic improvement. Volunteers of UBUNTU work in extramural projects and groups that offer, amongst others, karate, mosaic, woodwork, and sport, under the guidance of UBUNTU staff. 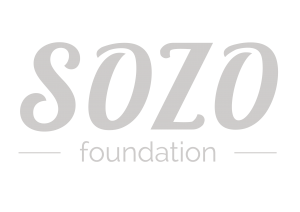 THE SOZO FOUNDATION is an organisation committed to see the people of Vrygrond equipped and empowered to live with dignity, purpose and hope. The Sozo Educentre is an after-school tutoring and mentorship programme for high school learners from the Vrygrond community. It currently serves 80 high school learners (between the ages of 13 – 18 years) to be empowered within their own community to achieve their full potential. 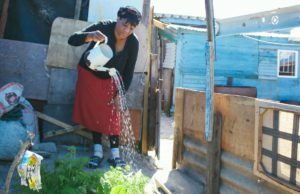 Sozo Eden is a holistic vegetable gardening programme run in Vrygrond, one of the poorest townships in Cape Town. Over 80% of households in low-income areas in Cape Town, including Vrygrond, are food-insecure (African Food Security Urban Network, 2008). Sozo Eden combats this by equipping and empowering low-income families to provide nutritious food for households by developing individual vegetable gardens. The Sozo Youth Café provides a safe, creative and vibrant space for unemployed young people (16 – 25 years) to be trained and mentored within their own community. The Cafe offers a variety of opportunities to learn new skills through workshops, internships, and access to computers and the Internet. Sozo Foundation also partners with businesses and organisations in and outside Vrygrond through internships, which leads to work experience and, potentially, full-time employment. Sozo Design equips creative young people in graphic design. They offer design learnerships, where skilled high school graduates teach others in graphic design, and also partner with Educentre to equip high school learners with a basic understanding of design, as well as expose learners to design-related career opportunities. Sozo Design offers professional graphic design services to businesses and organisations, with all proceeds channelled back into Sozo Design. Sozo Lifeskills facilitates courses that equip people emotionally, spiritually, economically and socially, believing that with these essential skills, participants gain self-respect, take responsibility and develop initiative. The HOPE AFRICA COLLECTIVE equips children, young adults and families to break the cycle of poverty and build better lives for themselves. 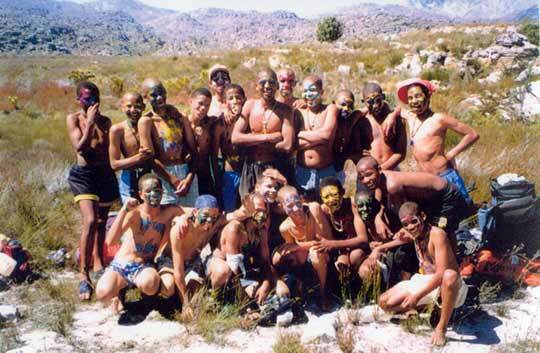 Their aim is to develop potential, transform communities, and overcome poverty. Life Development is a 9-week Life Development Process that kick-starts intense personal growth in young leaders, equipping them to live and lead strategically. Education initiatives provide young children with a safe environment to learn, play and grow through a scalable Early Childhood Development school model. Economic Development trains young entrepreneurs to launch, operate and lead successful businesses catalysts for economic growth and sustainability. Spiritual Formation equips pastors and Christian leaders to strategically work alongside the poor and oppressed, transforming communities from the inside-out. 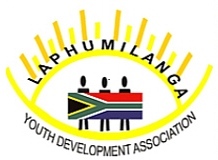 LAPHUMILANGA YOUTH DEVELOPMENT FOUNDATION focuses on career development, youth entrepreneurship, research, public and private partnership initiatives, youth development and job creation. The Youth Rising Leadership Project focuses on coaching and capacity building of Grade 10 – 12 Learners to fully understand their potential while simultaneously gaining fundraising experience to boost their careers at institutions of higher learning. African Hub Careers Exhibition is a yearly three-day initiative focussing on bringing various exhibitors in the private and public sector, as well as learners from various secondary schools in and outside Khayelitsha, to interact on career choices, bursaries and learnerships, internships and scholarships for matriculants. Quality Circles Forum is an ongoing motivational tool that encourages leadership, communication and responsibility to LYDA members and non-members through presentations by various role players in the private and public sector. Its plays an important role in bridging the gap between employed and unemployed, resourced and underprivileged. USIKO is both an organisation and a programme in South Africa which deals with youth at risk and young people in conflict with the law. Their business is healing youths by taking them through rites of passage programmes, giving them both the confidence and skills to become leaders in their communities. The Jamestown Usiko programme is run in two phases over an 18 month period helping boys along a guided journey to responsible manhood and adulthood. Phase I is a 9-month process with a combined therapeutic and development focus. This programme is run in two phases over an 18 month period helping boys along a guided journey to responsible manhood and adulthood. Phase 2 is also a 9-month process focusing on developing the life skills of the mentees. The mentees are taught different life skills consonant with their needs (driving skills; sexuality awareness; dealing with conflict; opening up a banking account; career guidance etc).